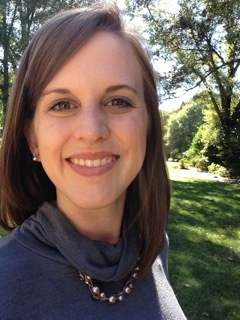 According to Kathryn Freeman, co-host of the Friday workshop at the 2015 CBF General Assembly on the topic of racial justice, her first awakening to the issue of justice was born out of an assignment in a high school history course that required students to interview a family member from another generation about a particular event in history. Freeman chose to interview her two aunts and from them she learned more about the Civil Rights Movement from their perspective as women who lived in and experienced it in Dallas, TX. To them, Freeman says, “The Civil Rights Movement was not just another historical event.” It was a deeply personal part of their lives. In reality, racism is and should not be thought of as an entity of the past either. It is real, it is now, and it is staring us in the face even on this very date in time. Sadly, though much time has passed since the passing of the Civil Rights Act, racism is rampant. From Trayvon Martin and Eric Garner to the nine African Americans killed just a few short days ago in Charleston, S.C., a place also known as the “holy city.” In light of these very events, this workshop led by Kathryn Freeman and Ferrell Foster of the Texas Baptist Christian Life Commission was hauntingly relevant. What struck participants of the workshop was talk of the systemic nature of racism that is deeply rooted. In other words, people do not simply wake up one day and decide to be racist. It starts early and is passed down from generation to generation. Unfortunately, many do not acknowledge this reality and choose to ignore racism or brush it under the table. Some fail to even recognize their own racism and prejudice, therefore perpetuating a problem that needs direct action in order for there to be any change at all. It is common for us to see #prayfor(fill in the blank) in the aftermath of racially charged attacks. While this sort of call to prayer is necessary, Freeman stated that “…it cannot be all you do. The time for listening, praying, and mourning is over. We need to be actively standing against [injustice] as the church.” I could not agree more. In my own church context, racism exists. I have seen it and heard it a countless number of times. It weighs heavy on my heart and almost makes me feel powerless, even though I know God is calling me to do the work required to make the changes that need to be made. In worship last night, as Ken Medema sang during the offertory about building bridges and the pain that one must often endure as a result of that building, tears poured from my eyes and I wanted someone to wrap me in their arms and tell me that it would all be okay. I felt pain for those killed because of their race. I felt sorrow for families grieving over the loss of their beloved. I felt anger over the prejudice that people in my church hold towards people who are not white like them. As I cried and longed for that embrace of comfort, the tears kept coming while the embrace did not. No one told me it would be okay because it is not okay. It will never be okay if I and so many others do not take action to make systemic changes. So, instead of #prayfor(fill in the blank) I want to #goandmakeachange. Mallory Monroe is a serves as a Minister to Children at First Baptist Church of Shelby, NC and is a final semester student at the Gardner-Webb School of Divinity in Boiling Springs, NC. She will graduate in December with a Master of Divinity concentrated in the areas of Christian Education and Spiritual Formation.